In Peru, and here especially in the Andean highlands, August 1 (and actually the entire month of August) is dedicated to Pachamama, next to the sun god Inti probably the most important and worshipped deity in the Inca culture. 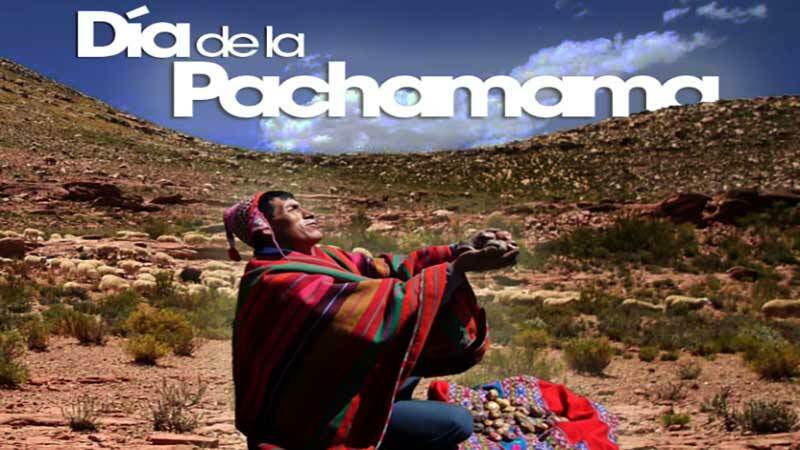 While rituals to honor Pachamama take place year-round in the Andes regions of Peru, the celebrations for the Day of Pachamama already start on the night before August 1 when families clean their houses and cook all night. On the Dia de la Pachamama people then either in private with friends and family or in public ceremonies come together and dig a hole in the ground in which they place fruits and veggies, herbs, meat or a part of the dishes prepared the night before, drinks, flowers. coca leaves, sweats and even cigarettes. Everything is then either burnt or just covered with soil as offering for Pachamama. Often people spill a little bit of chicha de jora, an alcoholic beverage obtained by the fermentation of a specific maize variety, on the ground and drink the rest showing their respect to the goddess. The offerings and the ancient rituals that are performed during and after the ceremony aim at bringing good luck for the New Year and the good will of Pachamama. In the region of Puno the celebrations are often combined with the festivities for the National Alpaca Day.